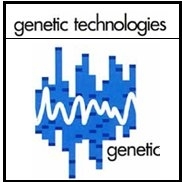 Genetic Technologies was an early pioneer in recognizing important new applications for "non-coding" DNA (DeoxyriboNucleic Acid). The Company has since been granted patents in 24 countries around the world, securing intellectual property rights for particular uses of non-coding DNA in genetic analysis and gene mapping across all genes in all multicellular species. Its three-pronged business strategy includes: 1) the global commercialization of its patents through an active licensing program; 2) the expansion of its dominant commercial genetic testing business in Australia; and, 3) the commercialization of its various research and development projects aimed at generating further intellectual property of global commercial significance.